Who: Hungry diners and thirsty hops heads looking to savor the Valley’s best pizza + (free) beer deal. What: All summer long, Federal Pizza is pairing triple-digit temperatures with ice-cold craft brews as part of its “Wet Hop Arizona Summer,” a red-hot dining deal offering a free growler filled with a rotating selection of craft draft beer to anyone who picks up a drive-thru pizza. Offered every Wednesday, from June 8 through Labor Day on September 5, 2016, simply call in your pizza (602-795-2520), pick it up via Federal’s dedicated drive-thru lane, and receive a Free* craft beer chub (32 ounce growler). 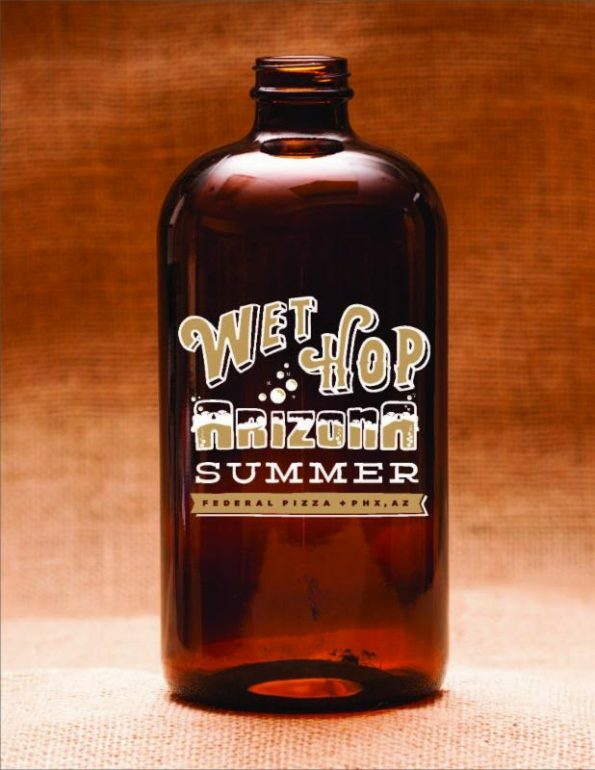 Even better, Federal Pizza’s “Wet Hop Arizona Summer” will showcase a different craft brewery each Wednesday. Follow Federal Pizza on Instagram where each week they will announce the latest lineup. *Federal Pizza will be charging a penny for legal reasons. Limit one free growler per transaction.